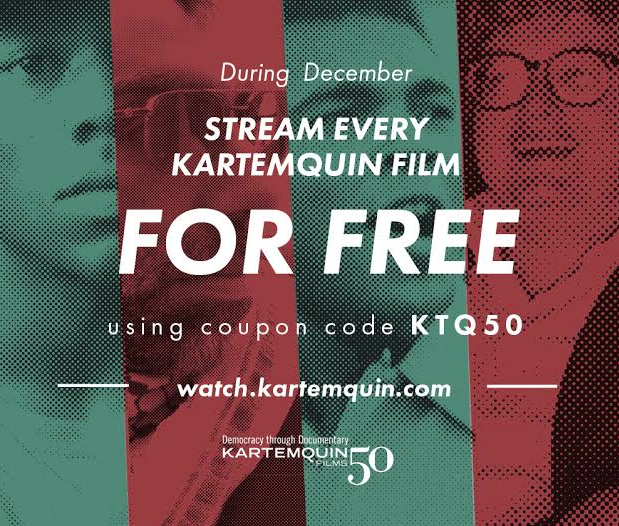 Watch every Kartemquin Film for FREE all December; Stream them all for 1 YEAR for $50! Beginning TODAY stream every Kartemquin Film for FREE at watch.kartemquin.com for the entire month of December, as our thank you to you for celebrating our 50th anniversary year with us! Use coupon code: KTQ50. One month not enough? You can now purchase a year's access to our VHX streaming catalogue, with every Kartemquin Film from the past 50 years, for just $50. Subscribe HERE!